Lots of people see the value of Twitter in the workplace and are using this social networking tool to learn and share with each other about specific topics. I personally use Twitter to learn, share and connect with educators from all over the world. As a digital learning guru, I am helping the teachers in my middle school to use their Twitter accounts to start building their own Personal Learning Network (PLN). 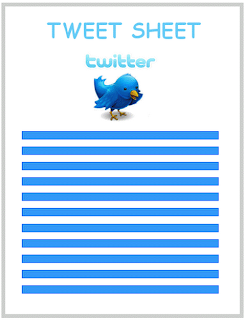 In order to help others get started using Twitter , I have created my own Twitter Tweet Sheet. I hope that you find these Twitter resources, tips, and tricks helpful. Just copy and paste the website address that you want to share in your tweet into the box and it will shorten the link for you (freeing up extra space for your tweets). 3. Build a good Twitter reputation. Don't tweet mindless things like, what you ate for breakfast, or that you just had a great workout. People will more than likely "unfollow" you in a heartbeat if the majority of your posts are not productive. Make a point to tweet things that you personally value and that you think other people will value. This will help to build your "tweet cred"
4. Brush up on your Twitter etiquette (Twitiquette). thank people for "retweeting" one of your tweets. thank people for "mentioning" you in one of their tweets. don't take credit for someone else's idea's, thoughts, etc. you don't have to follow everyone that follows you. people don't have to follow you if you follow them. These tips will help to keep your followers following you. 5. Research Twitter. Some people say that Twitter is "simply complicated". It's a very basic and simple concept, but it is also complex. Visit the following websites to learn more about Twitter. The Twitteraholic’s Ultimate Guide to tweets, hashtags, and all things Twitter: This will tell you everything you need to know about Twitter and more! 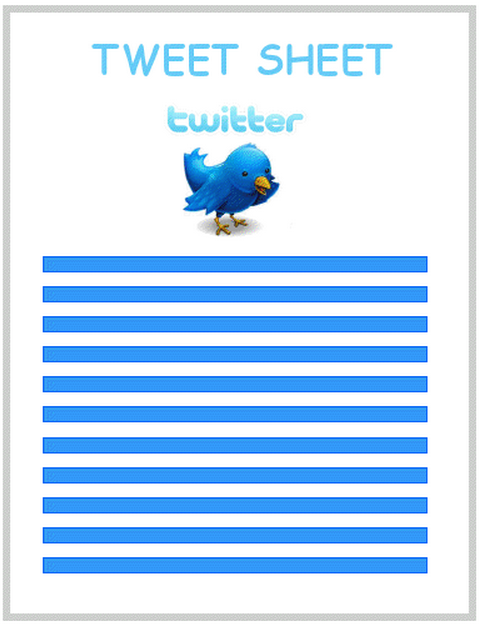 Twitter Directory: Use this to follow Top Tweeters of your interest. 6. Be patient. Believe it or not, it takes a long time to collect followers. Keep using #hashtags in your tweets and keep posting meaningful information and resources. It is an exponential process. It takes a while to get started, but once people start following you, your followers will exponentially increase. 7. Start a blog. If you have already started a blog, post the links to your blog in your tweets. This will help you to build an even better Twitter reputation, and it will drive people to your blog. This is the best way to contribute back your Personal Learning Community (PLC) which in turn, will create more followers for you. If you don't have a blog ... get one! It's very easy and its a lot of fun. I would recommend using Google Blogger. 8. Have fun! Twitter is a great resource to learn and share from people all over the world. Don't stress out about it. Enjoy learning from others and contribute to your PLC when you can!